Chanel dressed to her personal style. She was unafraid to experiment with (and break out of) the trends – creating trademarks and changing the face of fashion. Like Coco, French women tend to have a je ne sais quoi. What is their secret? In part … They work from an I-love-everthing-in-my-closet motto to choose gorgeous pieces that flatter their faces and figures. The French girl not only considers how she looks in her clothes, but how she feels. When I feel something’s missing from my outfit, I turn to the scarf. For an extra pop of color or texture, the scarf is my go-to. 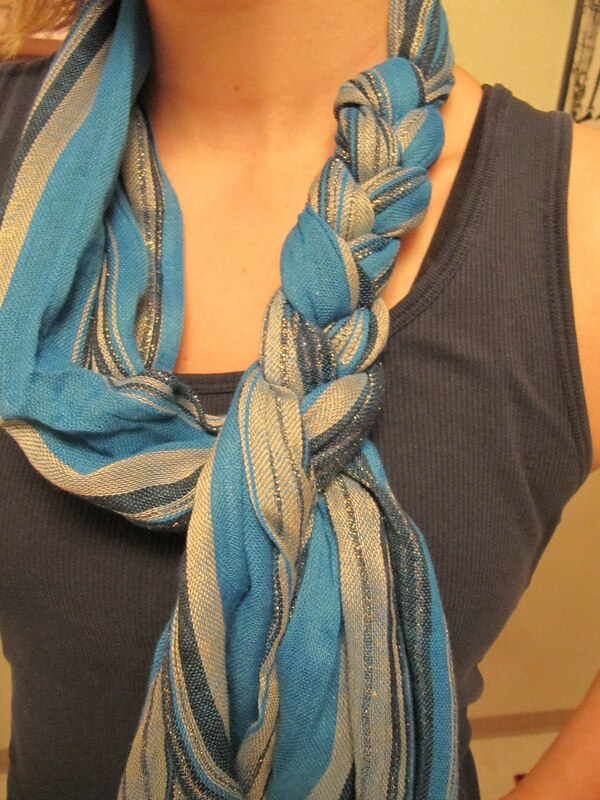 Knotted, looped, wrapped (or infinity), scarves are versatile accessories. 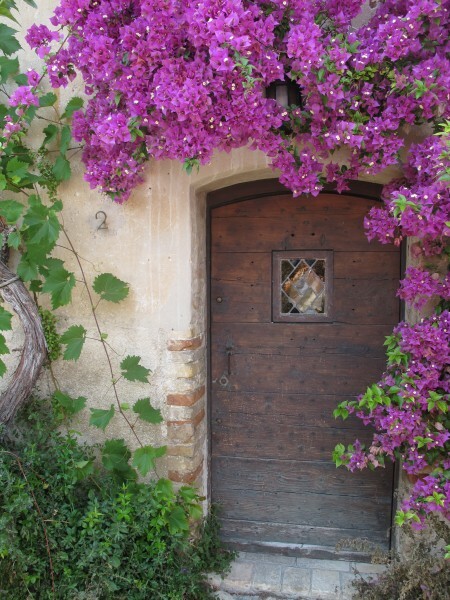 This works well with a thicker scarf – like a pashmina. Although it looks complicated, this scarf style is a snap to tie. It’s a twist on the noose look (which I avoid because it makes me feel stiff – like I was in a car accident and broke my neck). Step 1: Double up the scarf, folding it in half, and wrap it around your neck. Step 2: Take one end and thread it through the loop. Step 2: Twist the loop, and thread through the other end. The nickname is silly, but the style is sport-chic. Step 1: Fold a square scarf diagonally into a triangle. 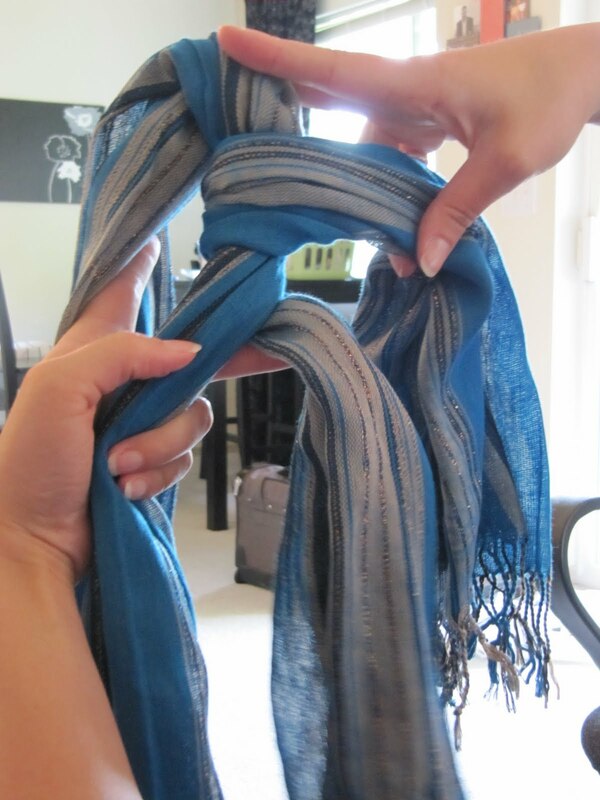 If you have a longer, rectangular scarf: Fold and then fold again to form a triangle. Step 2: Lay the scarf across your chest, with the thickest part of the scarf pointing down in the center. Drape the two ends across your shoulders and tie/wrap/cross the ends together around the back of your neck. Step 3: Shift the scarf so it’s positioned how you like. I wear the point to the side. This is my summer go-to style, as it’s best with a light-weight skinny scarf. It looks fantastic with a tank top. It’s just the right pop of unique. Step One: Take the ends of the scarf and tie together, leaving about 6 inches at the ends. Step Two: Turn your knot as seen in the picture below. There are three parts of the scarf used for braiding. The first is a section of the loop. The second and third parts are the loose ends of the scarf. Use the three parts to start braiding. Step Three: Tie the ends of the braid together, so they don’t unravel. Throw the loop over your head, and turn the braided side on your left or right side. Et voilà! You have a chic look to rock! Which of the above will you try? Ha. I cracked up with that name too. That’s why I wrote it. Infinity scarves are the best invention!